I wrote an annoyed op-ed a while back about how the proper name for the AEM infrastructure was Author, PUBLISH, and Dispatcher. Not Publisher. Definitely NOT Publisher. It’s the wrong word. I still get annoyed by people who can’t be bothered to learn the correct term. Or who are just too lazy to correct themselves. But maybe it’s time to change. Perhaps I can excuse lay people who aren’t familiar with the infrastructure, or marketing managers who just needed to know enough to green light the purchase of AEM, but not people who should know better. Right?! Maybe I am wrong. At this point the term Publisher is just too prevalent in the ecosystem to be able to shake it now. I’ve heard co-workers (seasoned AEM developers and systems guys), Adobe Managed Services CSE’s, and even Adobe employees that are part of AEM development make the mistake. I know, it’s shocking. There is even an argument to be made that Author and Dispatcher both end with the “ur” sound, so adding it to Publish would make sense. Publisher. 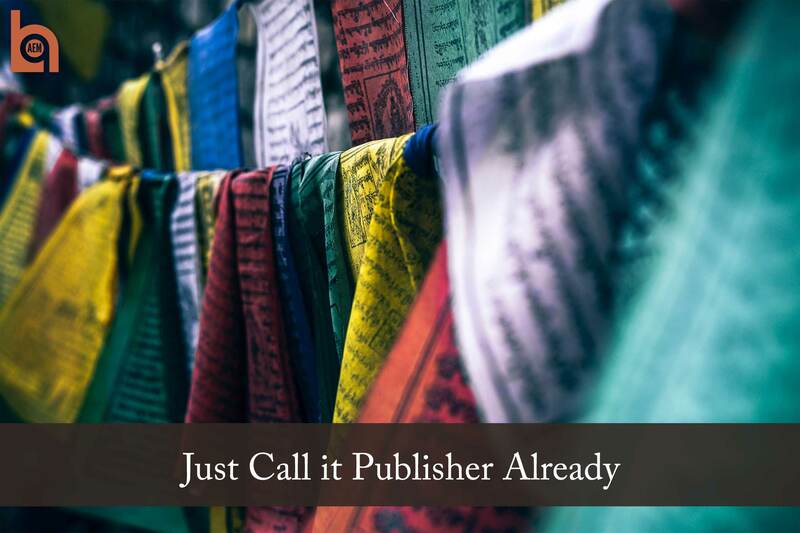 🤷 I know that some will say that it might cause confusion given that some people in the content workflow may have a “Publisher” title to their group and so it could get confusing. Maybe. But we call people who are in the Author environment authors and no one seems to get confused. Mostly, I just want everyone to call it by the same name. Is that too much to ask? So my Adobe friends, my plea is to you: Can we standardize this already? What do we need to do to fix this?